Healthier employees are more productive employees. Thank you to the Minnesota and North Dakota employers that trust Delta Dental of Minnesota to help keep their employees healthy. Not a Delta Dental Member? Get Delta Dental for Your Employees. Keep your employees healthy happy and smiling. 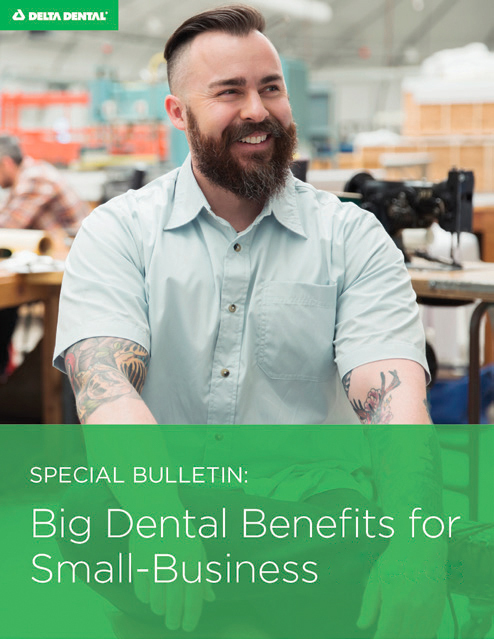 Finding big dental benefits for small businesses just got easier. Visit our small business page. Our most recent blogs about dental insurance. Do you have part-time, seasonal or retiring employees in need of a dental plan? We have Individual and Family Plans available. Get the best dental insurance for your employees.